Aboa Vetus & Ars Nova and Turku Castle are good opportunities to explore the local culture. Your itinerary includes some good beach time at Bellevue Beach and Ispoinen Beach and Sauna. Change things up with these side-trips from Turku: Old Rauma (in Rauma) and Nuuksio National Park (in Espoo). 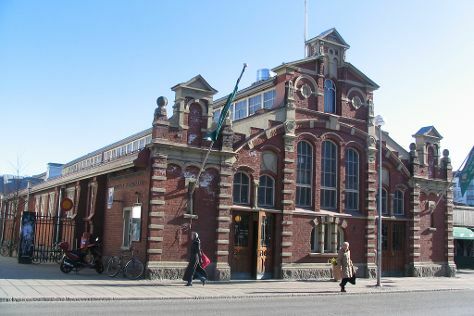 There's lots more to do: browse the different shops at Turun Kauppahalli, steep yourself in history at Turku Cathedral, browse the exhibits of Forum Marinum Maritime Centre, and view the masterpieces at Photographic Centre Peri. To find more things to do, maps, ratings, and more tourist information, go to the Turku trip itinerary planner . In April, plan for daily highs up to 9°C, and evening lows to -1°C. Finish your sightseeing early on the 27th (Sat) to allow enough time to travel back home.